Pound 360: Capitalism 'killing the earth.' Seriously. An extensive multi-part report at New Scientist looks at the deadly link between capitalism and the environment. The message is simple, to save the planet we need to change this global economic system of ours that relies completely, entirely, solely on growth. The founder of the National Resources Defense Council told New Scientist that, against "today's capitalism, with its overwhelming commitment to growth at all costs, its devolution of tremendous power into the corporate sector" and "our own pathetic capitulation to consumerism," the environment doesn't stand a chance. Look at it this way. 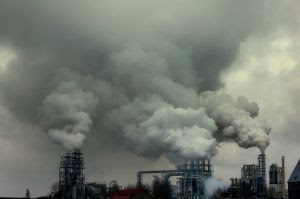 Every $1000 worth of goods and services produced releases half-a-ton of carbon into the atmosphere (not to mention all kinds of other pollutants released into the environment as well as the goods, in come cases, that will sit in land fills for ages). Given this context, here's what's terrifying, "It has taken all of human history for the economy to reach its current size. On current form it will take just two decades to double." If you think improving technologies can save us (as Pound360 naively, numbly, desperately wants to believe), you're wrong. using? I've loaded your blog in 3 different internet browsers and I must say this blog loads a lot faster then most.